According to the U.S. Census Bureau data, the population of millennials has surpassed Generation X, and Pew Research reports they now represent the largest share of the American workforce. Recruiting millennial talent today requires an understanding of what motivates this generation, so we’ve rounded up the top five articles to help you attract and hire your next Gen Y. 71% of millennials are willing to quit their job based on a company’s principles. This shines a light on a company’s employer brand values more than ever. Many talent acquisition teams are now shifting their recruiting strategy to include a more open and candid brand message and medium–from adding social recruiting and employer branding to their recruiting mix to having more transparency around salary and benefits during the interview process. Learn how millennials are changing the way businesses operate and redefine the meaning of work. Related: Webinar >> Employer Branding 101: No Really, What Is Employer Brand and Why Should I Care? Whether you’re a retail store hiring entry-level talent or recruiting millennials to add to your diverse workforce, one thing is for sure: You need to see eye-to-eye with millennials or risk misunderstanding your next Gen Y candidate with the many millennial myths that abound. Ask yourself: “What do most millennials really think about your diversity program? Are they at all concerned about how older workers perceive them?” Learn this and more key findings you thought you knew about millennials. Sure, the current workforce is turning a new chapter. 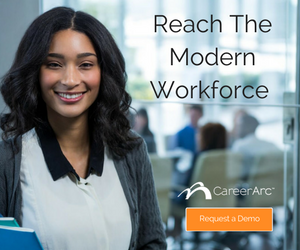 But while the millennial-majority workforce may call for some adjustments to your recruiting tactics, make sure to strive for simplicity. Though millennials tend to be more vocal about their experience in the workplace and their employer’s business practices, connecting with them may be easier than you might think. This article presents a few ways to reframe the generational divide. Let’s not forget about Generation Z who are now making their entrance into the workforce. Take it from HR leaders in the space, targeting both Gen Y and Gen Z is now a requirement. One way organizations are reaching these younger generations is by being present in the media they participate in most–social media. Check out 10 more ways to attract millennials and Gen Z as recommended by experienced HR leaders. With four generations of employees under one company roof, employers executing a one-size-fits-all recruiting approach find they are increasingly reaping diminishing returns. Millennials have a different way of looking at and communicating with the world, and often expect a similar pace of interaction inside their workplace that they receive outside of it. In the age where on-demand, mobile media are setting the standards of communication, is your organization adapting its hiring processes to deliver a similar experience? Make sure it’s up to par with these 4 steps. Millennials make up one-third of today's workforce. 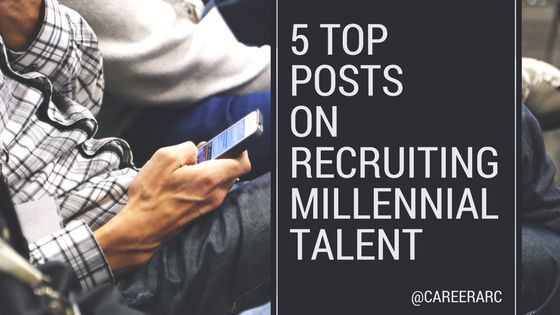 Learn how to recruit millennial talent with these top posts.